Silk and cotton blended Fairtrade shawl from Ethiopia. 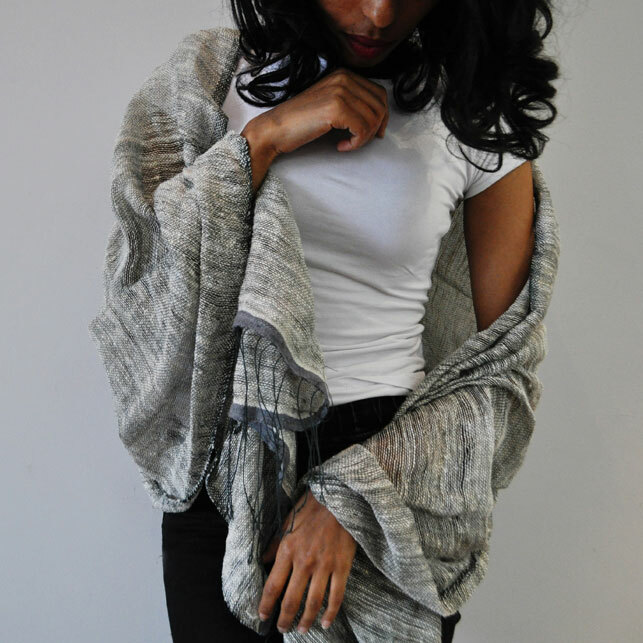 Extraordinary ivory-grey coloured shawl made from 65% wild silk and 35% cotton. 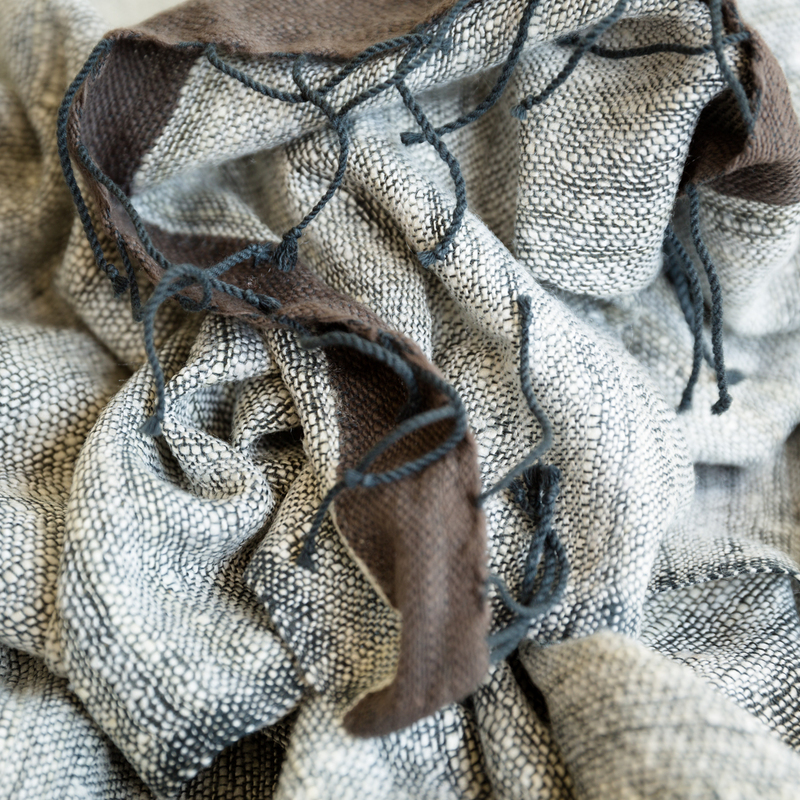 This heavily textured shawl is made by combining a dark cotton warp with a natural, hand-spun eri silk weft. 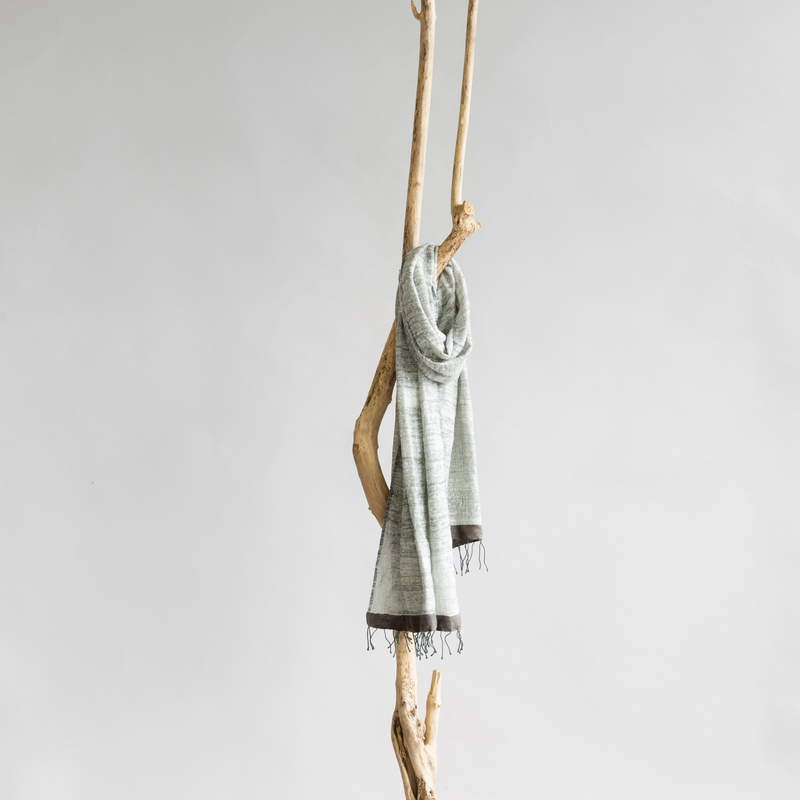 The shawl is handcrafted by artisans working with Sabahar, a Fairtrade organisation in Addis Abeba.